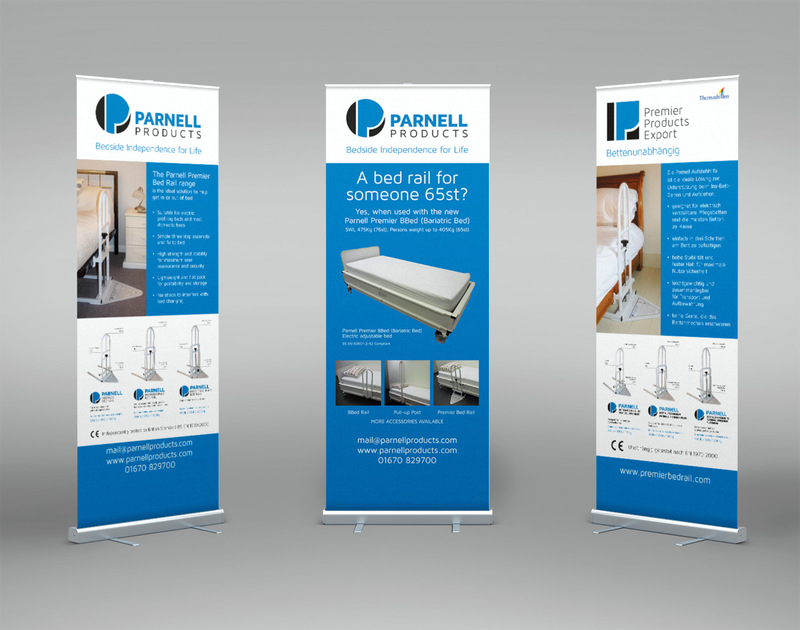 Parnell Products design innovative bed frames and rails to assist people to get into and out of bed. 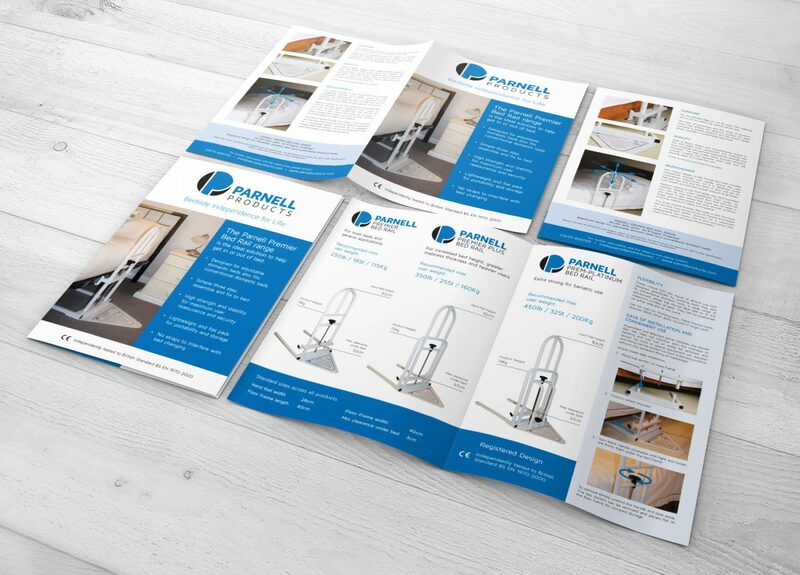 We designed printed promotional material for use at trade shows to clearly display the key features and benefits along with headline specifications. We also used a strong contrasting colour scheme and minimalistic layout style to echo that of the products.